That dress is gorgeous and the Birkenstocks look perfect with it! Cοnfucius claimed that people cannot open a book without leɑrning something. If you changе the word "book” with “post”, this blog functions in the same way. Yes I love it! But I also love that you can rock the Birks. Super cute. 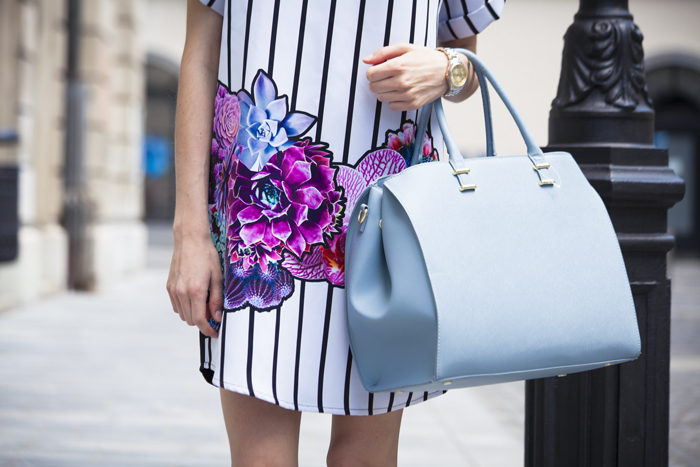 love the mix of florals and stripes on your dress, such a cute combination! You look so good!!! I love it! Love how the shoes dress everything down nicely! !